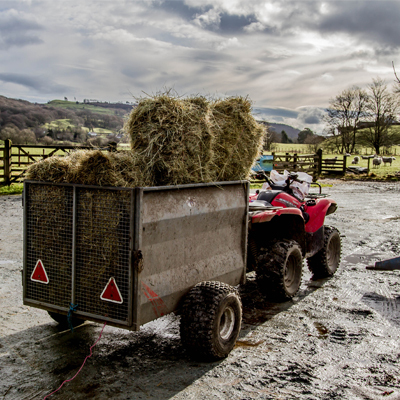 Hawkshead Hall farm a picturesque working farm set in 100 acres of unspoilt countryside in the heart of the Lake District. 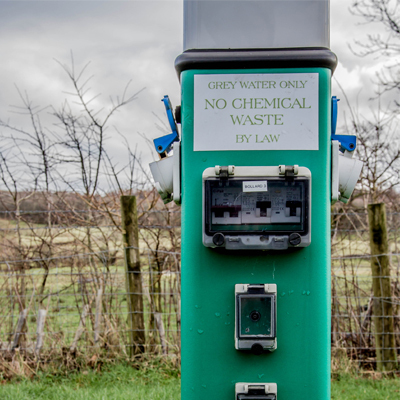 Just a quarter of a mile from the village of Hawkshead linked by a footpath from the site through the fields. The campsite has superb views on all sides of the surrounding area. There are lots of great walks from the doorstep and an abundance of wildlife deer, foxes, squirrels, swallows, curlews along with some friendly farm animals. Hawkshead Hall Farm offers camping and touring caravan pitches with or without electric hook up. 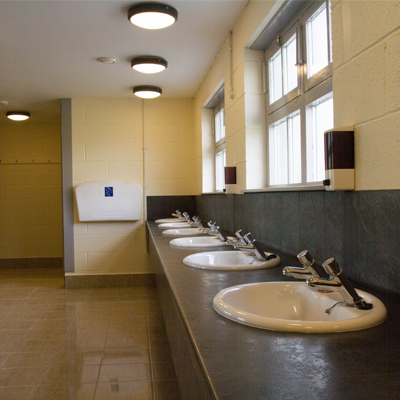 There is a modern toilet and shower block with shaving points and electric sockets. A fridge for freezing ice packs, maps, information and brochures on the local area are available from reception. 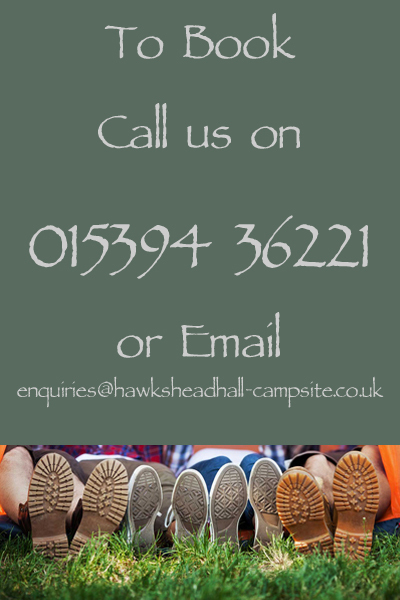 Hawkshead Hall offers tent pitches with or without electric hook up, touring caravan pitches and motorhomes pitches with electric hook up ,t.v connection and water connection. 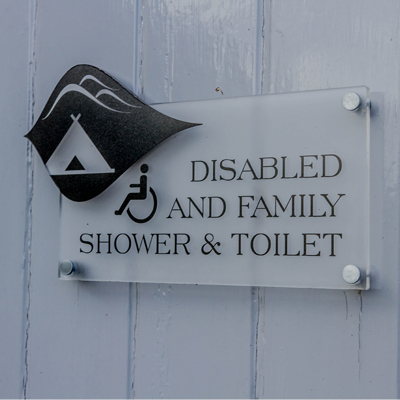 A families only site we do not allow groups unless D.O.E accompanied by a member of staff by prior arrangement. We only take families, couples and individuals.